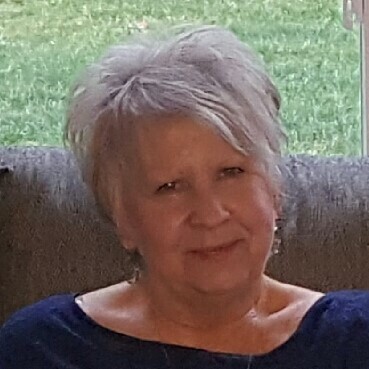 Marzetta F. Chafin, age 73, of Cardington passed away surrounded by her loving family, Thursday, March 28, 2019 at her daughter’s home in Dover, after a courageous battle with cancer. She was born on August 19, 1945 in Nellis, WV to the late Marion and Marcella (Perdue) Nicholson. Marzetta was an assembler for Raytheon Company for 17 years. She was a member of the Christ the King Community Church in Fredericktown and the Red Hat Society. Marzetta enjoyed doing woodworking, crafts, yard work, and gardening. She loved her Lord and the church. Marzetta was very dedicated to her family and enjoyed being with her kids, grandkids and great-grandkids, having get togethers and cookouts. She was always there, dependable and a loving and caring wife. On July 24, 1982, Marzetta married Tommy Chafin in Mt. Gilead and he survives in Cardington. In addition to her husband, Marzetta is survived by three daughters: Candy (Rob) Gale of Dover, Shelby Webb of Cardington, and Barb Chafin of Belfry, KY; 5 grandchildren and 10 great-grandchildren; 2 brothers, Dallas (Cindy) Kinder of Cardington and Eddie Nicholson of Marengo. Friends may call on Tuesday, April 2, 2019 from 11:00 am to 1:00 pm at Gompf Funeral Home, 440 Center Street in Cardington. The funeral service will follow at the funeral home at 1:00 pm with Pastor Lucian Baker officiating. Following the service, the burial will take place in the Glendale Cemetery. Those wishing to make a memorial contribution are asked to consider the Christ the King Community Church, 15598 McClelland Road, Fredericktown, OH 43019. Those wishing to share a memory of Marzetta or to express a condolence to the Chafin family may do so by visiting www.gompffh.com.